Neospora Caninum is a protozoan parasite that is an important infectious cause of weak calves and abortion in cattle. It can affect other species including sheep, goats and camelids, however these are thought to be less susceptible. Neospora is the most frequently diagnosed cause of bovine abortion. 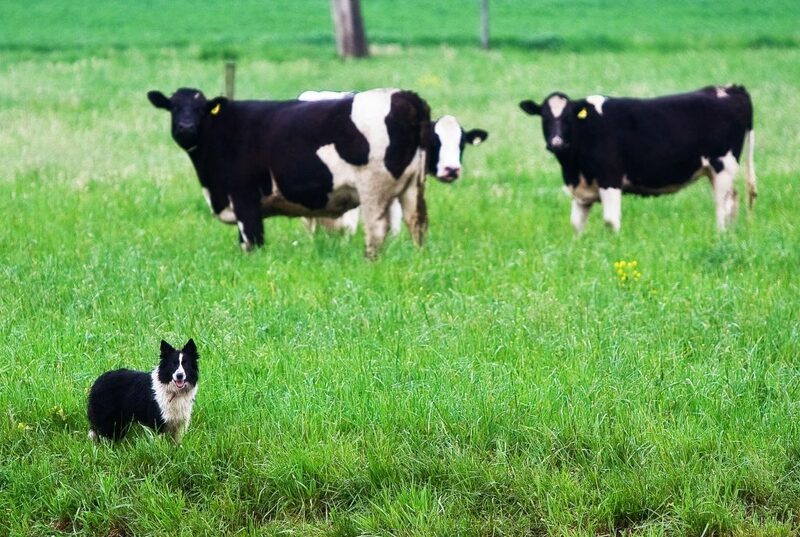 A recent study done by Moredun showed 26% of aborted bovine foetuses were positive for Neospora Caninum. Dogs and other wild canid species are the definitive hosts and shed infective oocysts in their faeces to the environment. The oocysts can survive for prolonged periods in water and soil, long after the faeces have decomposed. The cattle are intermediate hosts and become infected when consuming feed or water that is contaminated with oocysts from an infected dog. The dogs can become re-infected if they consume raw meat or placental tissue from infected cattle. From the dam to her foetus during pregnancy. This is the MAIN route of transmission. Once a cow/calf is infected with Neospora, they remain persistently infected for life. Persistently infected breeding dams will either consistently or intermittently pass the parasite across the placenta of their calves, hence infected dams are 3-7x more likely to abort in comparison to uninfected cattle. 95% of the calves born from positive dams are infected. Clinical signs in the calves born from infected dams are mostly subclinical (i.e. no signs). Occasionally calves may be weak or have neurological deficits. In adult cattle the most obvious sign is abortion (3-8 months gestation); however there are other economic impacts in lost time and production. There is currently no vaccine or recognised licensed treatment for cattle. For seropositive cows with valuable genetics, the use of embryo transfer to Neospora – seronegative surrogates, a technique that blocks endogenous transmission, can be considered. If you would like to read about a British beef farmer’s experience of Neospora, a Westpoint client has started a Neospora blog: neosporablog.wordpress.com. It’s purpose is to raise awareness of Neospora and be a point of reference. There are industry links about the disease as well as details of their story and updates on their progress.